Samsung Galaxy Note 8 has started receiving its Android 8.0 Oreo update. The South Korean company hasn't confirmed the rollout as yet, however, users report the update has begun in France. It's also being said that it isn't a beta update, but a stable release. 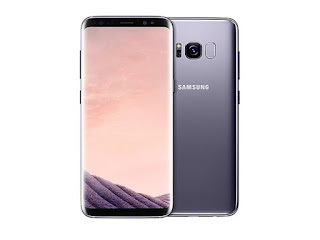 To recall, a Samsung Turkey website had last week indicated the Galaxy Note 8 would start receiving its Android 8.0 Oreo update from March 30 - it appears the rollout has begun slightly early, or the company has started the rollout with a limited number of users. The Oreo update for the Galaxy Note 8 contains the March Android security update, SamMobile notes, and also updates the custom UI to Samsung Experience 9.0, carrying firmware version N950FXXU3CRC1. Seeing that Android 8.0 Oreo was released back in August last year, and that the first Android P Developer Preview was made available earlier this month, Samsung is certainly late to the party when it comes to updating its flagship smartphones. The consumer electronics giant's other flagship smartphone series, consisting of the Galaxy S8 and Galaxy S8+, only started receiving its update in early February, and that rollout was paused due to 'unexpected reboot' issues before being resumed in late February. As we mentioned, the company's plans to release Android 8.0 Oreo updates for other series and older flagships was recently spotted on a Samsung Turkey site, and that details the next smartphones in line to receive the update will be Samsung's Galaxy S7 and Galaxy S7 Edge. The update for these smartphones will start on April 13, as per the site. The Samsung Galaxy A7 (2017), Galaxy A5 (2017), and Galaxy A3 (2017) will receive the Android Oreo update from May 25, the site adds.